We have bought 9 of these since 2010 for our various bathrooms. as we have moved houses. Excellent product for hygienic use! Excellent service from beginning to end, Extremely professional. As a customer was kept informed at all points of the order journey.Swift delivery and good quality product . Highly recommend. Excellent customer service. My items were received the next day. 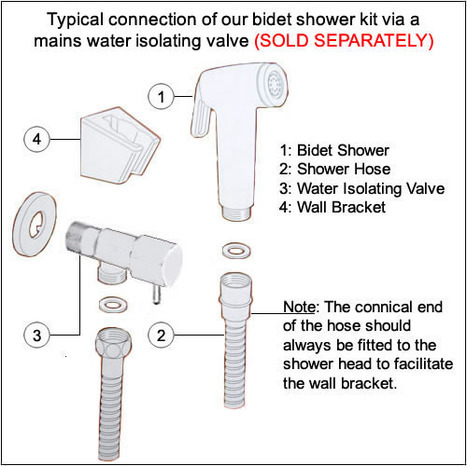 Have been using the bidet products for over 5 years. This was bought to supplement a previous slightly different design. It was not as good as the earlier one upstairs, where there is only about 2 metres head available, but was fine downstairs where it is connected direct to a supply of about 7 barg. A quick switch of the two and all was well. Great bidet shower but the button to press is a little awkward. Very powerful but can be gentle too. Quality entry level Mini Shower. 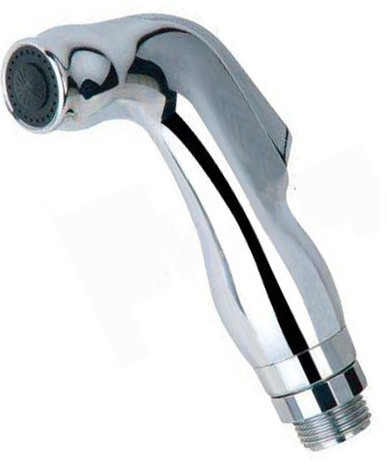 The Mini Shower head is manufactured in high impact ABS with a mirror chromium plate finish. Mini Shower head with water control trigger The mini shower head is manufactured in high impact ABS with a mirror chromium plate finish. Weight of shower head, around 70 grams. 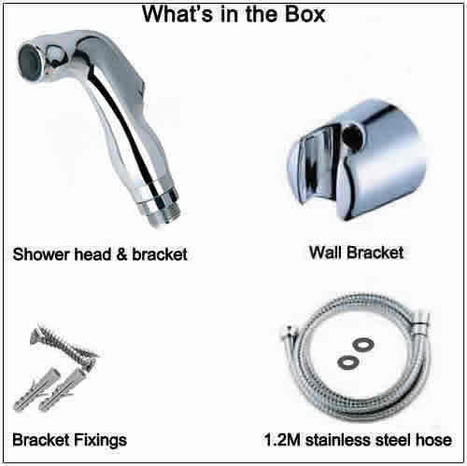 1.2M Double lock Stainless Steel hose. 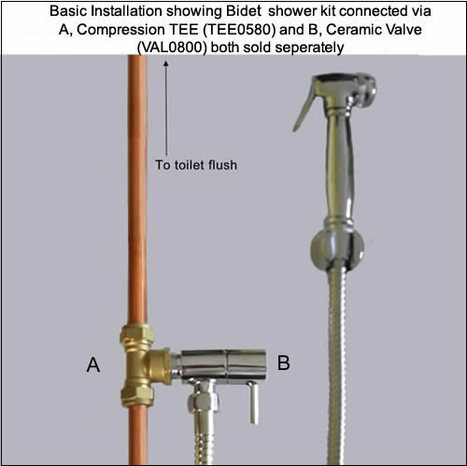 Our hoses are specifically designed for use with our Mini Showers. The flexible, 1.2m ( 40") length is designed to withstand more than twice your normal domestic water pressure. Special wall mounting bracket and fixings. Enabling you to hang your mini shower in a convenient location within easy reach of the toilet.